While you are planning to get your office completely furnished, choosing products made of wood would be the best decision. This is because the products of wood would always be a better choice due to its natural look and also the fine finish. It is a very good natural product which can enhance the look and the beauty of the room it is placed in. But the fact about the wood office furniture is that it will always cost you a little bit more than any other type of furniture. And due to this reason, there are high chances of retailers faking the item by selling duplicate wooden items as the real ones, so that they can make more profit. So one has to be very careful while they decide to buy the wood office furniture, and it is very important that they do thorough homework before investing in this furniture. Reading through and gaining basic knowledge about the wood, its qualities, and other related things will definitely create a great impact in choosing the right product. Learning about different finishes, the construction of the drawers, dust proofing, and the species of wood will be more than enough to help you purchase the best of wood office furniture. When you consider the quality of these products, there is a wide range available so that they can meet different types of budget requirements. The lowest or the affordable quality of wood is the products made by RTA. These are products that have to be assembled to form into the actual product. 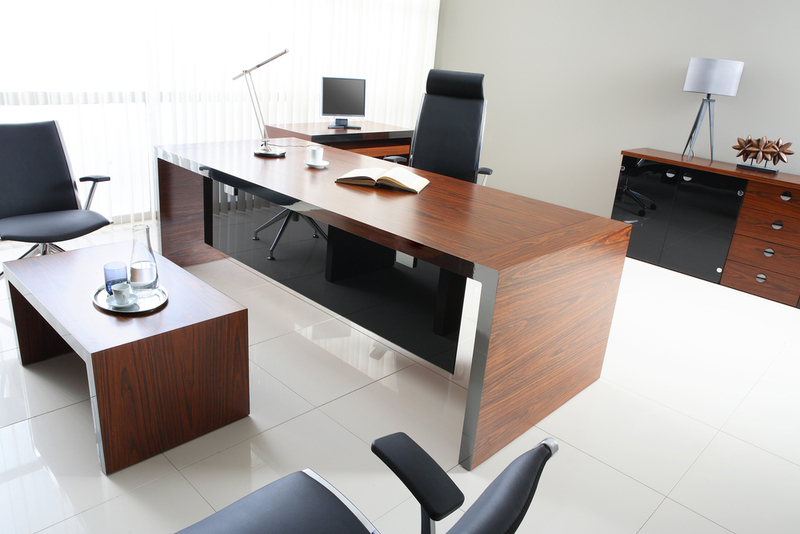 Such wood office furniture is a very cost effective way of buying the chosen products, and generally they are very durable.